We have published a range of collateral to support you in promoting the survey, and in collecting and maintaining your student/graduate contact details. Visit each of the pages below to access these materials. We’d appreciate your feedback on the materials we’ve provided so we can continue to support your communication efforts. Likewise, if you have ideas for additional items, please get in touch. The majority of the materials provided are available for you to modify and to use in your own materials promoting Graduate Outcomes. Please remember that whilst ensuring these materials fit with your own branding, part of the purpose is to establish brand awareness ahead of graduates receiving the survey. 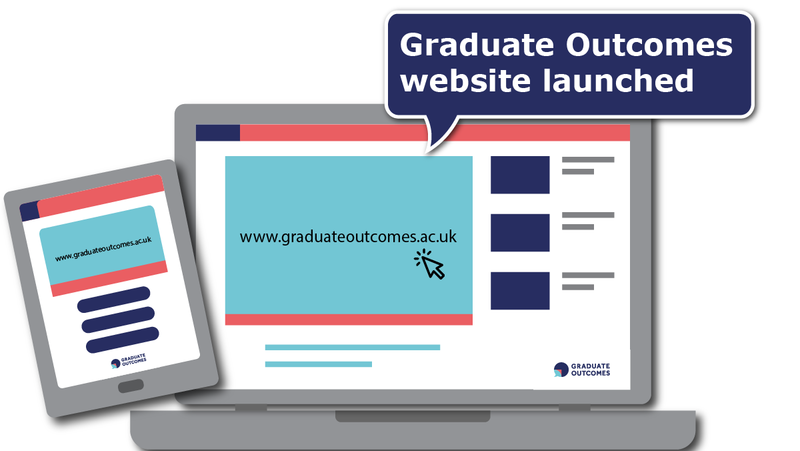 If we get this right, it means graduates will recognise the survey, making them more likely to open the email invitation when they receive it. Therefore as a minimum, the Graduate Outcomes logo should be present in all materials and you should try to retain some of the main brand elements, such as the colour palette.